Click through to view our extensive range of double and triple glazed windows. Choose from uPVC, timber, and aluminium to perfectly complement your home. Aesthetically attractive, secure, and energy efficient. Select a composite or uPVC entrance door or opt for a stylish patio door system. 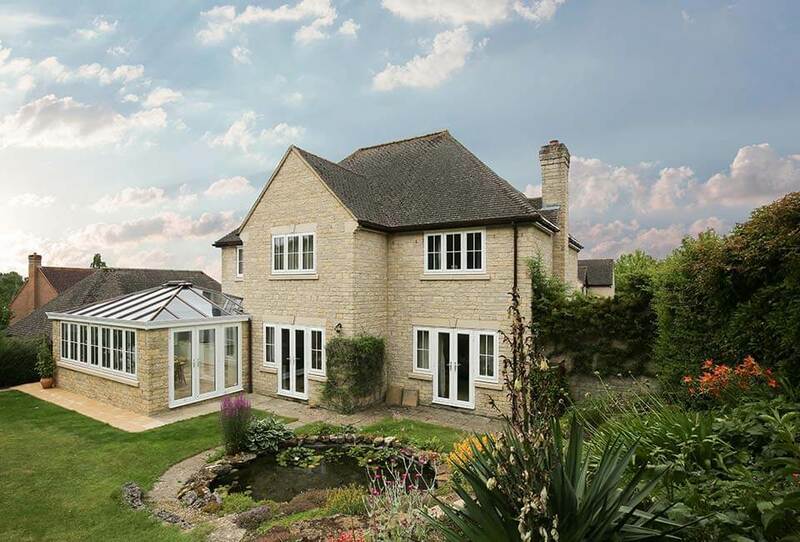 Work with our experts to design the perfect conservatory for your home. Select the roof system, windows and doors to fit your requirements. Extend your kitchen, dining or living area for an improved standard of living. Get help with everything from design drawings to Planning Permission advice. Create the ultimate contemporary living area with beautiful bi-fold doors. Seamlessly blend interior and exterior living space to create a bright and expansive home. Boost your home’s exterior aesthetic and protect from the weather and any potential water ingress with our high quality roofline products. At FineLine, we offer an unrivalled service to all our customers. We specialise in creating bespoke windows, doors, and conservatories for homeowners across Kent and the South East of England. We treat every individual project with the same attention to detail to ensure that our outstanding service remains consistent. We have a wealth of industry experience and can offer expert advice on the best solutions and perfect products for your home improvement plans. Here at FineLine, we’re proud to have won many prestigious awards for our products as well as our work in the community. We're delighted to have received the prestigious Installer of the Year award which sets us apart as the best window, door and conservatory installer in the UK, beating over 13,000 other companies.This makes us the best choice for your next home improvement project. Being recognised for our work in the community as well as our reliable customer service and transformative home improvements makes all the difference.